For many of us the festive season is a time to indulge, have fun and connect with our friends & loved ones. This a time when we start to relax our eating and our healthy behaviours that have been in place all year. Perhaps we are out a few more times a week having a few extra drinks, big rich meals & too many Christmas mince tarts! It’s very common that once we start to relax a little with food, that this can easily accelerate to being out of control with food. Think: on the couch, binge watching on Netflix with your PJs on, eating a whole tub of salted caramel ice cream. But you’re probably thinking come January 1st, you will be back in control again with your eating and exercising. You’ll be back on your diet, or start a new one, and all will be OK in the world. Are you either in control (dieting, detoxing or intense exercise) or out of control (you can’t stop eating anything and everything in sight) with food? We call this all or nothing thinking in the world of Psychology. You are either a success or a failure. You’re eating is either good or bad. You’re exercising like crazy, or doing nothing. The issue here is that whilst you have this all or nothing thinking, you will only have 2 gears to work with – in control OR out of control with your eating. You spend so many years going back and forth, trying desperately to get back in control (thinking this is the answer!). If only I had more will power and discipline? The secret is that the more you try to be in control (think dieting and restriction) you are setting yourself up for a binge and to be out of control with your eating. You might spend years going back and forth like a swinging pendulum. You’re in control, then out of control, then in control again. It’s an internal battlefield. It’s emotionally exhausting, and it’s incredibly stressful. Control is seductive. We want more and more of it. When we are out of control we think that we have failed, and there must be something wrong with us. If only I had more will power and tried harder? You haven’t failed, you’ve just had the wrong tools & mindset. But control is not your friend, as it only leads to being back in control at some point. It might be tonight, it might be at the weekend or it might be on holidays, whenever it is, it’s visiting you soon. It’s time to break this vicious cycle. It’s all about eating living according to a continuum. Wouldn’t life be so much easier and enjoyable if you were able to work with more than 2 gears? The game changer to getting on top of your emotional eating & weight is seeing life (and food) on a continuum. A balanced approach is what works best. 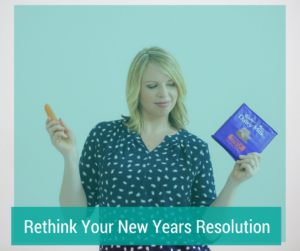 Take the no dieting pledge for January 1st It’s time to ditch the dieting mindset. Don’t wait until January 1st to be back in control with your eating (which means that you will be out of control until then). Start today by being an intuitive eater which involves having no food rules and restrictions. By giving yourself unconditional permission to eat, you fend off deprivation (which kicks in when you start dieting). This means that there’s never a ‘last supper’ because there are no restrictions. This is a far more balanced, sustainable and enjoyable approach & will change your relationship with food & your body in a really positive way. Mindfulness – start to place your awareness into your body (taking your awareness out of your head). Just be aware that when you start to be in control, your awareness is always in your head (think: rules, rigidity & restrictions). You want to shift that awareness into your body. Slow things down including your breathing, your eating and start to really connect with your body. Just go day by day, meal by meal (this is the opposite of the dieting mentality where we will plan out all of our meals in our head for the whole week and don’t check in to see what we really want or need, only what we ‘should’ be having). Self Compassion – a big part of this journey is to start to become more self compassionate and let go of our perfectionism. Beating yourself up and being critical won’t make you skinny or have a good relationship with food & your body. In fact studies have shown that this could even lead to emotional eating. Having acceptance of where you are at right now is key (even if you’re not happy with where you’re at), rather than waiting to accept yourself when you get ‘there’. Otherwise your life will be on hold, and do you ever get ‘there’ anyway? It’s an elusive goal that always leaves you feeling not good enough and disappointed (that often leads us back to food). Transformation and change comes from a place of self acceptance, rather than often what we believe, which is I will never change if I accept myself now.